· Table runners: -A long rectangular cloth running along the length of the table with elegant patterns on it will allow you to have a royal dinner time with family and friends. Premium casement cotton finish will give it a body and it would not get swayed away in the air. 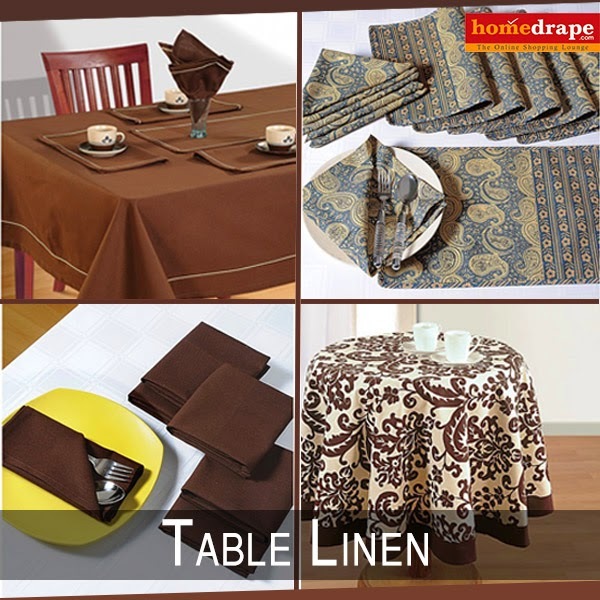 · Table cloth: - With the table being used day in and day out will get scratches, so prevent the table getting ruined with the stylish and compelling table cloths. Available for round and rectangular tables it is obtainable in digital printing as well as normal printing.